NOTE: This should ONLY be tried with Office 2010. DO NOT try with this Office 2007, Office 2003, or Office 97 files. I have no idea if Live Writer will crash or have undesired affects using older version of Office files and I do not want to have to track down crashes for something that is unsupported in general. First read the note above! Second this is NOT supported so use at your own risk. I have high confidence that this will work with Office 2010 files since Windows Live Writer 2011 used the same autocorrect file as Office 2010 but we only tested with the English file so there is a minor chance that a localize file might not work. In a previous post I explained how to add additional dictionaries for use with Live Writer. In Microsoft Office, the applications with keep in sync a localized autocorrect list that matches the editing language and dictionary assuming there is an autocorrect list for that language (sometimes they use English when autocorrect does not make sense for a language and sometimes they do nothing at all). In Live Writer regardless of what dictionary you are using, or what your UI you are using, your autocorrect will always be in English. If you own Office 2010 and you really want to use a localized autocorrect list here is how you do it. I should note that this will change the built in autocorrect list and not the custom autocorrect list you can create and use with Office. Live Writer does not support a custom autocorrect list. Second note is that this will change your autocorrect list for Live Mail in addition to Live Writer. Please make sure you want to have it replaced and used in both applications. Verify that you have Office 2010 – if you do not then please stop reading now. Boot Writer and try a word that you know will autocorrect for that language. For example, with French if you type “contr ece” it should autocorrect to “contre ce”. To switch back, just rename mso.back to mso.acl. Note that running setup to, say, switch your UI language or to upgrade your Windows Live Writer could revert the mso.acl file back to English. A repair operation could also set it back to English. As stated above this is unsupported however I know that many users would like to have autocorrect that matches their editing and UI language. What has changed since the Beta refresh for Windows Live Writer 2011? As announced today the final version of Windows Live Writer is now available for download. You can download it from http://explore.live.com/windows-live-writer. While I think there is great value in the suite as a whole if you just want Writer please make sure you do a custom install and uncheck the parts of the suite you are not interested in. If you are a 2009 Live Writer user, you can see my previous posts to get an idea about the changes made to get to the point of what Live Writer 2011 is all about. This post is all about my favorite changes made since the Beta refresh. Many of these are issues report by Beta testers and the team really thanks you for your feedback. This really surprised the team but for many customers in Japan the IME was just plain broken epically those typing with a Japanese keyboard and using the IME vs. those using a QWERTY keyboard and the IME which was working just fine. This was not just a 2011 issue but also an issue with 2009 but we had never received the feedback that it was not working. I would like to think that many users in Japan will be very delighted with Live Writer now where if I were in their shoes I might have just uninstalled it and walked away in the past. An issue with Live Writer 2009 is that on upload to blog servers like WordPress, Writer would change the file name of your image. It would strip out characters like the hyphen or dash that were part of the file name. For example, “Cool-Product_1.jpg” would become “CoolProduct1.jpg”. This was very frustrating to those that wanted to take advantage of search engine optimization (SEO) and have a web crawler index the image name as published so that when you did that Bing search it would bring up your image name as part of the results list. This change is not specific to Live Writer but it is supported across the whole suite. In Office and Windows for a few releases, you could apply MUI packs and quickly change the language of your UI with a simple restart of the application or Windows. Live Writer now has this support for all 40+ languages out there today. This also means that by installing the MUI you get the spell checker for that language making it really easy to spell check in more than one language after you change the spell in the Writer UI. 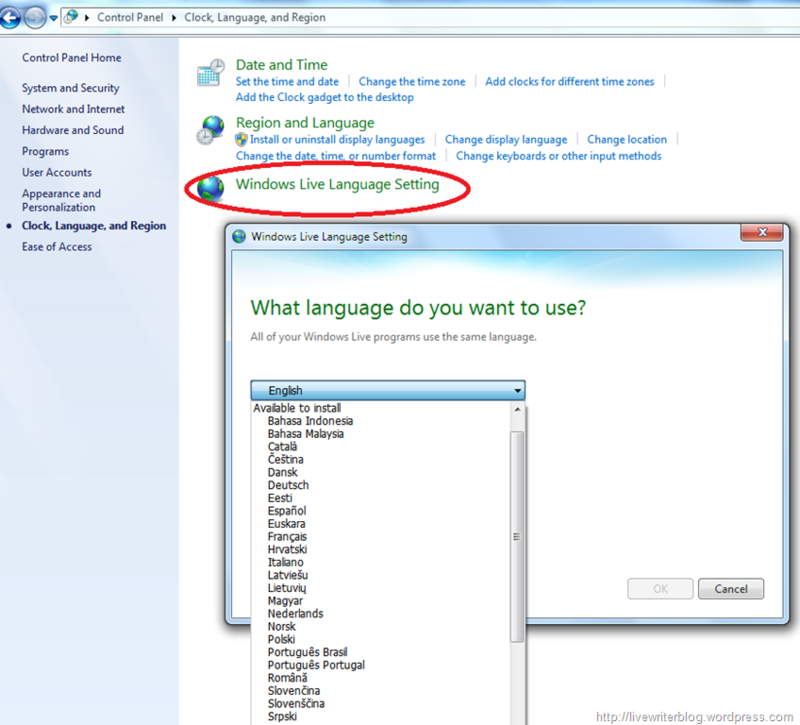 In the Windows Control panel if you click on “Clock, Language, and Region” you will see an entry for Windows Live Language Setting. This will allow you to switch or add languages other than the default language you installed. Some of the dictionaries have been updated since the Beta and overall all languages should be as current as what Office 2010 has. This had been a fairly common request from users and now you can pick to have your video formatted in 16:9 or 4:3 when you publish it was part of your post. Here is a screen shot of the new buttons on the Video Tools Format ribbon tab. This was broken in the Beta and if you resized an image and had aspect ratio turned on Writer was not honoring this setting but in the final version, it is working as expected. More work in blog theme detection focusing on WordPress and Blogger. Also fixing blog title font size issues with specific themes. 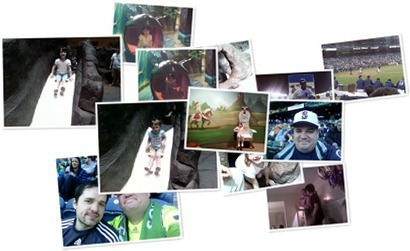 Photo albums look better with the new Blogger theme templates introduced in the last year or so. This was blogged about this here. 2011 added stronger security in that script is not run from inside of Writer. This meant however that when you went into Web Preview in the Beta build you would see a preview where for example the page would act as if something like j-script was not installed and you would see whatever was included in say a <noscript> tag. Blogging on SharePoint 2010 showed this, which looked confusing as it looked like there was a problem with the page. The change is that all of the “no” tags like <noscript> or <noframes> are now stripped from Web Preview which should make it look more like what readers of your blog will see. While most of the world is now using UTF-8 for their blog serving needs, there are still users that prefer a specific encoding for their blog. Work was done across the board to make this better. Users of ISO-8859-1 encoding should see improvements over the Beta. In the Beta refresh there was a big focus to make copy/paste better. More work was done in this area. For example, in some cases after copying an image from Microsoft Word and pasting in Live Writer you could not apply image formatting in Live Writer. Captions applied to photos in Windows Live Photo Gallery are not lost when you create a Photo Mail from selected images in Photo Gallery. We are always interested in your thoughts. Please leave us comments. Many of the reviews of the Live Mail Wave 4 beta talk about the improvements made to Photo Mail and show a cool way to share your photos with friends and family in a Photo Album. As I talked about in the post “Sharing Code is Good”, this work was done by the Live Writer team. Let us take a deeper look at Photo Albums in Windows Live Writer and specifically the new album style called “Squares” added for the Wave 4 beta. All of these styles can also be used in Photo Mail in Live Mail. Photo Albums in Live Writer are nice in that you get a great visual representation of a set of pictures without having to insert a bunch of full size images into your post. You give the reader of your blog the opportunity to click and see an album as a whole and with Wave 4 they can see it as a slide show. 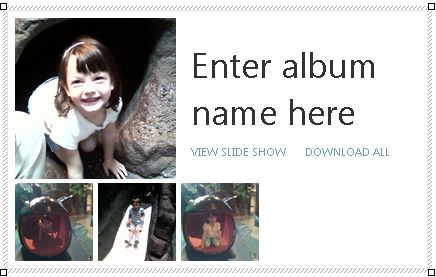 The photos are all stored on SkyDrive instead of in your blog server. In Wave 4 we added the ability to allow readers of your blog to download the whole album locally instead of forcing them to right click on every photo and select Save. By default when you insert a photo album you need to add at least one photo before you can add the album to your blog post. 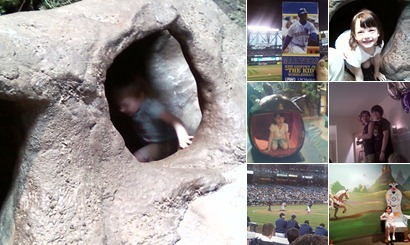 Here is what the new Square style looks like with four photos. 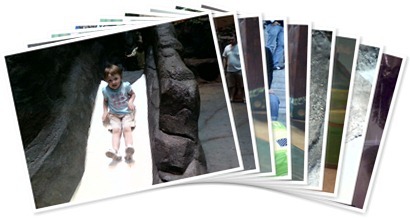 One photo becomes the big photo next to your album title and the rest start to appear in rows and columns underneath. For Squares we will show up to 41 pictures in the album but you can have 100s of photos in the album itself that will be save to SkyDrive. The album title will also match your blog theme. 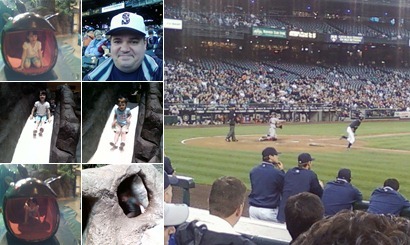 Here is a “live” squares album with many photos that has been uploaded to SkyDrive. If you are new to Live Writer then you have not seen the rest of the styles for Photo Albums. Here is a look at the rest. The Spread style will only show five thumbnails in the default view. The Grid Left style and Grid Right style show seven thumbnails in an album. The Scatter style will show up to 17 thumbnails in the album. The Fan style will display up to nine thumbnails. Having spent many years in Office I saw firsthand the value of shared code. In the days of Excel 5.0 and Word 6.0 very little code was shared across the Office suite. In Office ‘95 that changed and with resources focused on writing features that could be used across the suite it was great benefit. No longer did we have to make sure that a feature looked and worked the same across many applications in the suite even though it was written once for Excel, once for Word, once for PowerPoint, etc. As we worked on new versions the shared teams grew larger. The cool thing was that features, some that you did not even know about, just appeared in Excel, which I was working on, and I could just focus on making sure we had spreadsheet specific features like PivotTables. Of course my team also worked on shared features in MS Graph and the Excel charting engine that was in turn shared across the Office suite. I already blogged about the fact that the ribbon used in Live Writer and all of the other applications in the Wave 4 suite is shared code. What might not be apparent and I have not seen written up in a review, because you really should not need to know, is that the same editor that is used in Live Writer, is now also being used in Live Mail. The code is shared! This gave the Live Mail team the ability to go off and focus on making a better mail client that works great with Hotmail or gMail without dedicating a lot of time on the text editor. This work was instead done by a large part of the Live Writer team. This is actually very similar to what we did in Office where Word was an optional editor for Outlook but in Office 2007 we just turn it on all of the time so Word was the editor all of the time in Outlook. Outlook could focus on working well with sending mail via Exchange and let the Word team focus on editing text. Another key benefit for Live Mail users is now it has the photo album feature that Writer has. Live Mail has had a photo mail feature for a few versions now but we would like to think that Writer photo albums are better. Once nice feature in photo albums is that your photos from a photo mail will be saved to SkyDrive just like they are in Writer. This would have been hard to do without sharing code. I always get frustrated when software from the same company behaves differently doing the same type of action and with Live Writer and Live Mail this will not be the case. There is also a benefit for users that only use Live Writer. I hope you will find that the editor when you are composing blog posts is better. Live Mail had a few features in its old editor that we need to add to the shared code to make sure that Live Mail users did not lose functionality. This really is a big win for users of the suite and Writer users in that they got new functionality. Another example across the suite is that you will see that the emoticons in Live Writer look a lot like the ones in Live Messenger because they are the same assets. When you get your hands on the Wave 4 Beta I hope you see and recognize these benefits but the chances are you will not. Why? because it should just feel natural. No longer should you be frustrated when something strange happens while you are writing your post because we have taken care of those issues that were there in Wave 3 some via bring features from the Live Mail’s editor into Writer. Chances are you do not even remember you had the issue because you are not seeing it anymore.